Building rack & pedalboard systems is always full of new challenges & criteria from the variety of players we work with. This week’s Nice Rack Canada pedalboard system build is going to a local player who wanted us to build a pedalboard system that would capture the essence of two of his favorite players in one signal flow and allow for the system to be used at bedroom volume for late night practicing. 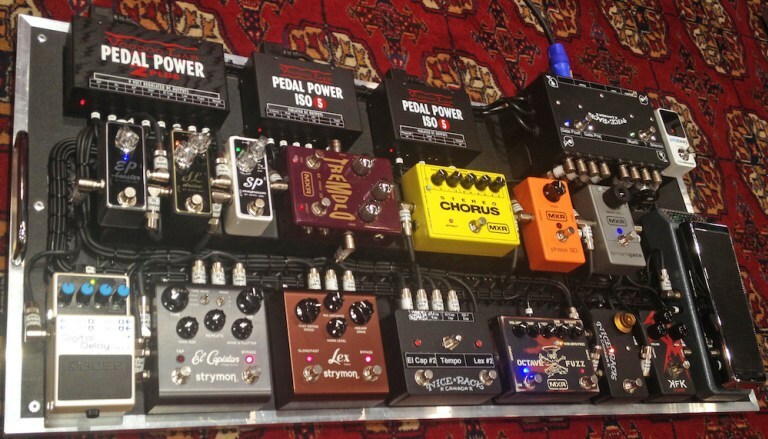 Guitar –> Input Buffer with Split Outputs to TC Electronic Poly Tune 2 Mini & MXR KFK QZone –> Real McCoy Custom RMC4 Picture Wah –> MXR Phase 90 –> Xotic SP Comp –> MXR Slash Octave Fuzz –> Xotic SL Drive –> MXR Smart Gate –> Nice Rack Canada Boost & Dry Split to Output Mixer –> MXR Stereo Chorus –> MXR Tremolo –> Strymon Lex –> Xotic EP Boost –> Strymon El Capistan –> BOSS DD7 –> Output Mixer –> Mute –> Amp. By using a low wattage practice amp with an Xotic SL Drive always on we were able to create some really nice low SPL Marshall tones that can clean up nicely with the guitar volume control. 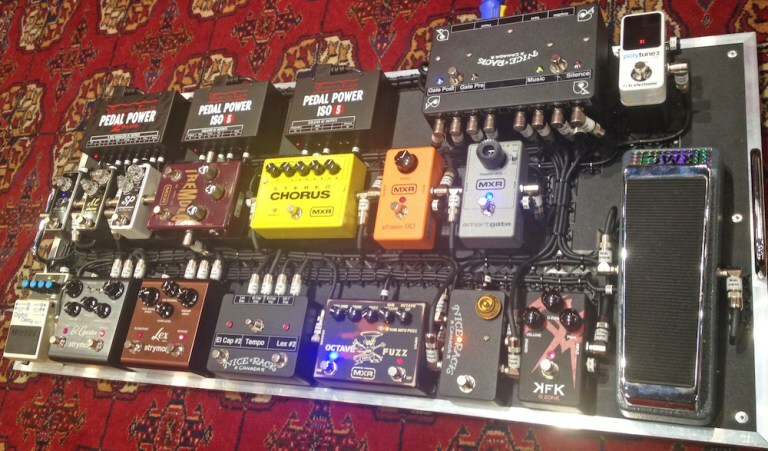 The system is powered by the bedrock of power supplies, Voodoo Lab’s Pedal Power 2+ & 2x Pedal Power Iso-5’s. Bring your rig fantasies to Nice Rack Canada and we’ll make them sonic reality.